February 13, 2018 – Last night The World News Center’s official girlfriend and I went to see the Chicago premier of Black Panther. I’ll tell you all about that in a moment. But, if you’re in a hurry, it freaking rocked, go see it. However, the one thing that keeps popping up is how AWESOME it is to have the first black superhero on the big screen starring in a movie. Obviously, somebody missed Blade. Now, to be fair, Blade was a hard “R” rated film that seemed like more of an outlier at the time than a movement. I’ve written before about how that’s a mistake, and what happened to it and other similar films, so I won’t drag you down that path again. Suffice it to say that many filmmakers have made successful films starring minorities, and comics have had black superheroes for decades, but none have hit the public conscience like Black Panther. The reasons for that are multitudinous, and I’ll touch on some of them in a moment, but the short answer is times have changed. I have a friend (yes, I know, you’re shocked) who claims that Black History Month should be called Black Misery Month. She is an actual African-American, born in Ghana and now a U.S. citizen. Her complaint is how the month is presented. We get the “slavery is bad” meme in various presentations, with no explanation of any of the underlying causes or the complexities that surrounded it and then we get either George Washington Carver invented the peanut (he didn’t and that’s a gross simplification of the many things he did invent), or Maya Angelou wrote about caged birds (an actual insult to her legacy). Basically, we get a few talking points that no one actually talks about and then we move on to getting drunk and pretending to be Irish. Yes, I know I’m already Irish, but I’m speaking generically here. Anyway, considering that Africa is the birthplace of humanity, the home of our earliest, and most storied, civilizations, and has been the focal point of some of the greatest military actions in history, you’d be justified in wondering how all of that got swept under the historical rug. Short answer? Racism, power, and money. Long answer? There are four year courses at major universities that haven’t nailed all that down. We’ll stick with the short answer for now. Nevertheless, as I’ve noted numerous times, nothing lasts forever. Time marches on and each generation gains a little more traction than the last. Rights, once mere pipe dreams, become reality. I was six years old before a black person was legally allowed to marry a white one. Now, aside from the occasional miscreant, no one even blinks at that any more, which brings us to Black Panther: The film struck a nerve not even the filmmakers saw coming. When we attended the premier there were worries not everyone who showed up would get in. Some didn’t. Some showed up six hours early. Don’t get me wrong, movie premiers are often oversold and people line up well in advance to get in. But this felt different. For one thing, the crowd was far more diverse than any I’ve encountered at a premier. For another, they were far better behaved. Usually these crowds are rowdy, giggling and giddy in anticipation, and peppered with the usual neophytes who claim to have deep ties to the people they may have once served coffee. I only counted one of the latter and not one person engaged him. The rest were anxious, but calm. They desperately wanted this movie to be good. They wanted it to live up to not only the hype, but their dreams. They wanted a black superhero that could truly rival Tony Stark or Bruce Wayne. And Black Panther could be that hero. A character that has flaws, resources, and a heart that cares under it all. Short story? They got it. All Marvel characters and the distinctive likeness(es) thereof are Trademarks & Copyright © Marvel Studios 2018. ALL RIGHTS RESERVED. Your spoiler free review follows: Black Panther picks up after Captain America: Civil War and manages to do so with only the slightest references to that movie, or the greater Marvel Cinematic Universe. It is truly a standalone film. It introduces us to the world of Wakanda, the fictional home of the Black Panther, and all its intricacies and problems. This is a world apart from us. Hidden from us. A world that holds great power and a world that could be perceived as a great threat. A world that has left its African brothers and sisters to suffer while it prospered. Those aren’t your usual superhero movie themes and this movie tackles them head on. They are central to all that happens. The villain, Killmonger, neatly represents the world we live in and troubles we see. T’Challa, the Black Panther and king of Wakanda after his father’s death in Civil War, is the heir to thousands of years of tradition who faces a chasm leading to the future: One he can widen or bridge over. He’s not a fan of bridges at the beginning and you can’t blame him. His father reached out to the outside world, got killed, and nearly enmeshed his country in a war of unimaginable ferocity. So bridges aren’t a happy thought for him. But the love of his life thinks otherwise. She has been in the outside world and knows, firsthand, how much good Wakanda could do if it emerged from behind its self imposed curtain. Oddly, and to her disgust, she finds her beliefs more aligned with Killmonger’s than T’Challa’s. There isn’t a single point in this movie where any of these issues are soft pedaled. And, somehow, they still manage to infuse some difficult scenes with humor. Suffice it to say this is the first time I’ve ever laughed out loud in the middle of a scene involving human trafficking. Trust me, it’s okay and you will laugh too. For fans of female characters I can tell you will be suffering an embarrassment of riches. The four primary female leads are wildly different, hold unique loyalties, and do not behave in predictable ways. They make hard choices and live with their decisions. In many ways they make this movie greater than anticipated. They, actualizing real women, facing real life decisions, bring Wakanda to life more than any super suit or cool tech. Although the suit and the tech are freaking awesome so don’t feel like you’ll be cheated. There is not a wasted frame in this film and you’ll walk about talking about philosophical and social issues just as much as you find yourself gabbering over the amazing visuals, chases, and explosions. Essentially, this is a film that delivers on every level. It’s not the best superhero movie I’ve seen, it’s one of the best movies of any kind I’ve seen. 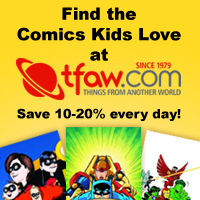 Free Shipping Is Back AT TFAW!